FRP Bypass APK is an open source application for bypassing “Factory Reset Protection” feature which is present in all android phones nowadays. This feature is the most important for the security of information in smartphones. As we all know all smartphones are more vulnerable to information theft and privacy issues. So in case of robbery or theft of our smartphone, if someone tries to factory reset the smartphone the Factory Rest protection (FRP) locks the phone. The protection feature asks for Google account password on which the phone is synched. So the other person cannot reset and gain access to our information on our smartphone. Google developed this feature for Android phones with V5.0,5.1 (Lollipop) 6.1.1, V6.0.1, (Marshmallow) &V7.0, V7.01 (Nougat). Now all smartphones come with this feature by the manufacturer. But at the same time, there is also a problem with this feature of smartphones. If the owner of the phone forgets his or her Google password, even he cannot factory reset his own smartphone. This is really a big issue that needs to be fixed. So there is no way the user can factory reset his or her own smartphone. In order to bypass the Factory Reset Protection, we use this application called ‘FRP bypass” to factory reset our smartphone. It basically skips the verification process. FRP Bypass APK size is very low. FRP Bypass APK is a free application. It can be easily installed from the link provided. It is simple to use. Google play store do not have this application as the Factory Reset Protection is feature is by Google. Step 1: Click on the download link given above or go to download page to download the APK file. Step 2: In order to use this application, you need an OTG cable and a USB driver. Step 3: Copy the APK file on the USB driver and connect the OTG cable to your phone. Step 4: Open the File manager on your smartphone and click on external storage. Now install the APK file from the USB drive. Step 6: Then install FRP bypass APK again. It will be installed now without any problem. Step 7: Now open the installed application on your smartphone. Go to settings > Back Up and Reset. Step 9: The phone resets automatically and reboots. Now this time it won’t ask you Google account password. 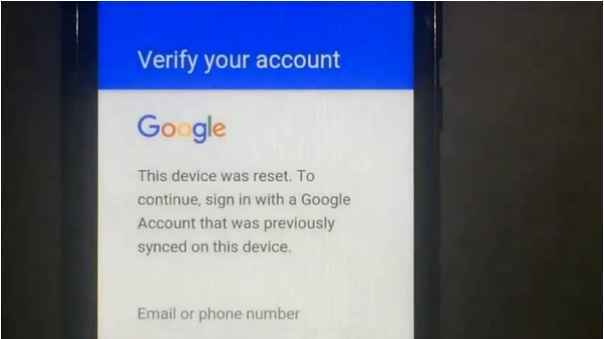 Now you successfully bypassed the Factory Reset Protection without using your Google password which is synched with your smartphone. Why does this app not work on the latest Samsung smartphones? The above-mentioned procedure does not work for Samsung S8, Samsung S9 Plus, and Galaxy S8 as they come with latest Android OS for which FRP Bypass APK does not work. Is FRP Bypass APK is free? Yes. It is completely free to download and use on your smartphone. IS FRP Bypass APK safe? It is safe to use. It does not contain any viruses. What to do when FRP Bypass APK doesn’t work at all? If you failed in many attempts, I suggest you go to a nearby mobile shop and get them to bypass your phone. They have paid tools for bypassing your smartphone. It won’t cost very much. 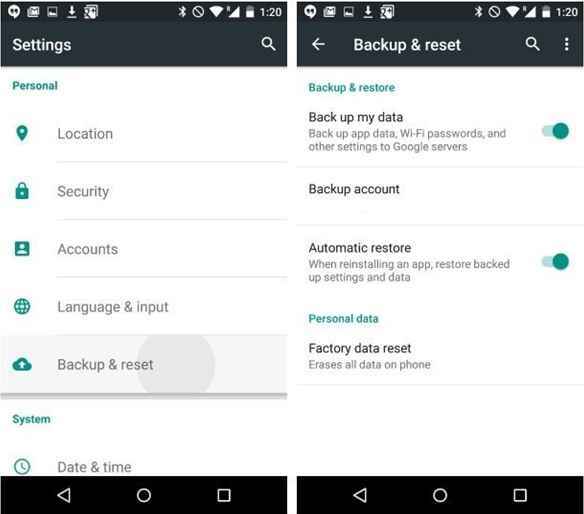 Factory Reset Protection is a very useful feature by Google. It prevents information theft and keeps our data safe from intruders and robbery. We live in an information age where information is such a valuable thing to lose. So this feature is a great thing on a smartphone. However, in many cases, the user himself forgets the password or it can be a second-hand mobile and be getting passed around the Factory Reset Protection becomes a problem to the smartphone users. This FRP Bypass APK is really useful at those situations. And it is a good practice to add two or more Google account on your smartphone because you can enter the password of any Google account that you have synced on your smartphone. I hope this helps you in bypassing Factory reset Protection.